More practically, if you’ve had unpleasant experiences with composting (foul odors, slow decomposition, vermin, flies, angry neighbors, etc.) come see how that can be fixed. 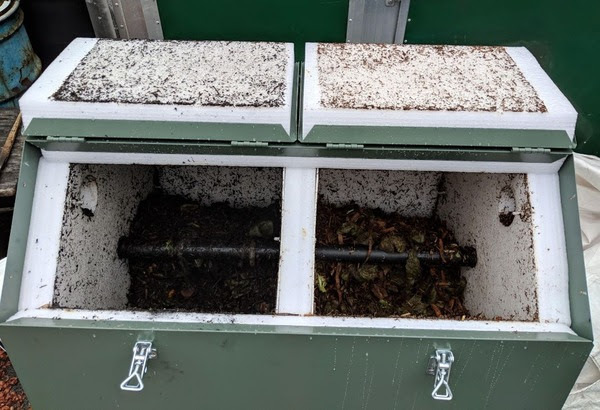 We’ll be showing off our new in-house composting experiment, where you can see the effects of co-composting biochar vs composting without biochar in a side-by-side comparison. This co-composting process combines with APL CHP machinery to transform biomass residues into multiple types of value and climate impact. Adding the co-composting scenario out the end significantly multiplies the carbon drawdown impact of the biochar generated. 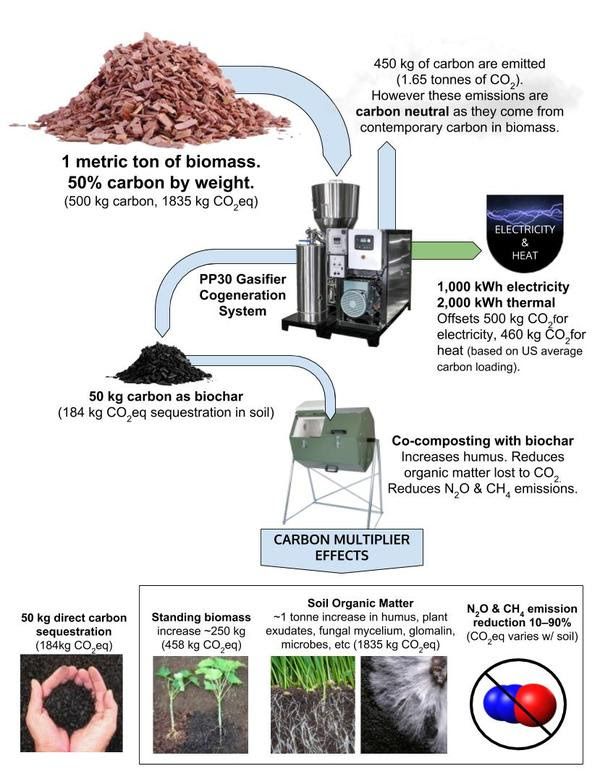 The specific type of high temperature biochar produced in APL machinery uniquely enables the carbon multiplier pathways summarized in flow chart below. Flow chart assumes the current 5% biochar yield rate of the APL electricity and heat focused equipment. Higher yield rates are of course possible with other types of biochar focused equipment. As usual we’ll have the PP30 Cogen CS machines running onsite for your consideration. Food and drink are free for all attendees. Please RSVP here so we know who is coming. 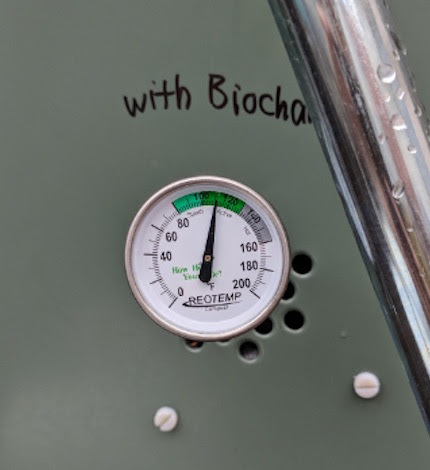 For more information on the content for the talk, or for those who cannot make it, here are two documents to explore more of the technical details of co-composting with high temperature biochars. 1. “All Biochars are not created equal”. 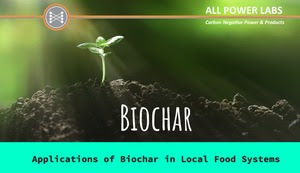 Intro to the APL biochar scenario. 2. Austin’s presentation deck from last round of this talk. Updates for this Friday still in process.